Transform customer support, and your business, with Service Cloud. What is Salesforce Service Cloud Lightning? Service Cloud Lightning from Salesforce is the world’s #1 customer service solution. Beyond help desk software, this cloud-based service software empowers agents with the tools they need to provide world-class service with a 360-degree view of the customer — all from one console. From live chat to a shared knowledge base, Service Cloud Lightning makes it possible for you to close cases faster, provide smarter self-service, personalize customer care, and deliver support everywhere. Increase agent productivity, and customer loyalty, by delivering answers at lightning speed. Tailor customer's service experience using case histories, personal preferences, and even their channels of choice, from popular social media hubs and text messaging to your own app. Keep customers connected and your business growing. Deliver faster, smarter, more personalized service. 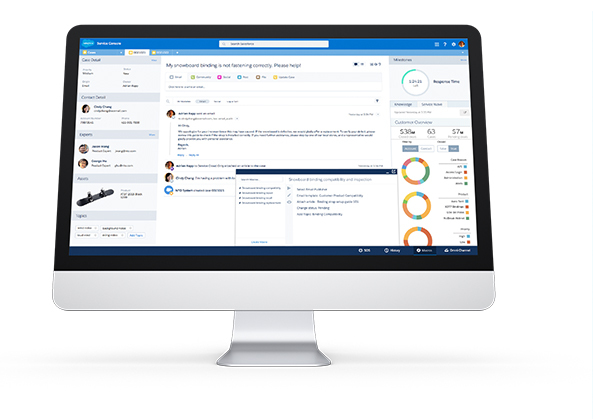 Manage cases, track histories, and more from one Lightning console. No switching screens. No switching software. Interact with customers in real time, 24/7, with Live Agent chat. Help customers help themselves with self-service communities. 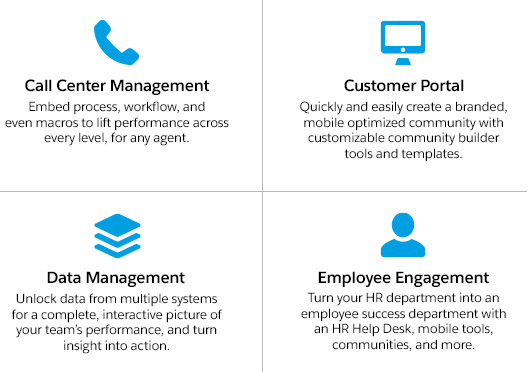 Empower agents to work smarter with easy access to shared knowledge. Integrate customer support directly into your apps and webpages with Snap-ins. Connect with field reps anywhere instantly with Field Service Lightning.